Searching for delightful cottages and self catering holidays couldn't be easier. We have details of over 20,000 cottages plus nearly a thousand holiday lodge parks to choose from. With one of the largest collections of self catering holiday cottages available all over the UK you will be sure to find a fantastic holiday thats ideal for you. It doesn't matter if you are looking for a two week summer holiday or just a short break you will find an unrivaled range of superb cottages and lodges showcased. There are pet friendly properties, cottages with hot tubs, wheelchair accessible holidays and many more. Want to know what others think of the cottage you are considering. We have literally tens of thousands of reviews for cottages featured on the site. The reviews are shown on the 'More Details' page. When you view the cottage detail pages, not only will you see lots of useful information about the cottage or lodge it self, loads of images and more. You will also see details of a few locat places that you may want to consider visiting whilst on your holiday. 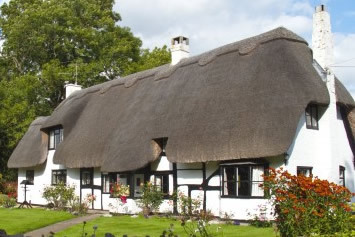 One of the largest collections of cottages available in the UK. The cottages we feature on Cottages 4 Holidays are from independent cottage owners as well as some of the largest and most respectible cottage rental agencies in the UK. We include properties from multiple sources so that you have as much choice as possible. You can choose properties in the town or city for easy access or remote holidays with breathtaking views. 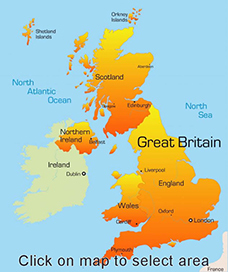 You will find plenty to choose from in England, Scotland, Ireland or Wales. If you know the area you want to stay in use the drop down location selector to list all of the holiday cottages we have on the site for that area. You can also search for a cottage name. It couldn't be easier to find the holiday cottage that meets your needs. You can browse through some of the 20,000 holiday cottages via the map on the right to see cottages available in the town or county you want or you can use our advanced cottage search function that allows you to view cottages that are in the area you want and have the facilites you require as well. Search for Cottage Holidays by region.